Saltwater tanks, especially reef tanks, are mesmerizing, colorful, and inspiring. But, if you want a little piece of the ocean in your home you have to deal with the messes it creates. A dirty film can build up on the water’s surface and wreak actual havoc. Protein skimmers keep this surface waste from building up in the first place. Just like crashing ocean waves leave some of the water waste on the beach, skimmers remove it from your tank. 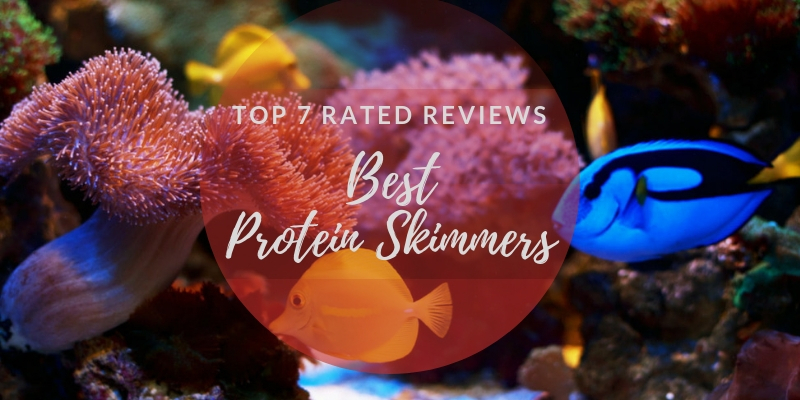 Do You Need A Protein Skimmer? All of this from one accessory? Yes, actually! All of these benefits happen because of the reduction in waste on the surface of the water. A buildup of dissolved organic compounds (DOC) and other waste floats on the surface of your aquarium water. This waste is a lot more evident in saltwater tanks than freshwater, though it exists in both. When there’s a lot of waste, your tank will suffer. Too much surface waste can reduce light penetration, which affects overall tank health and coral coloring. Waste dissolving into the water also changes the pH balance and creates a food source for nuisance algae. Lastly, surface waste reduces oxygenation in the tank. Because these things stem from the same problem of surface waste, protein skimmers can solve all of them simultaneously. The bottom line is that protein skimmers do help your tank by making maintenance easier while improving the health of the inhabitants. 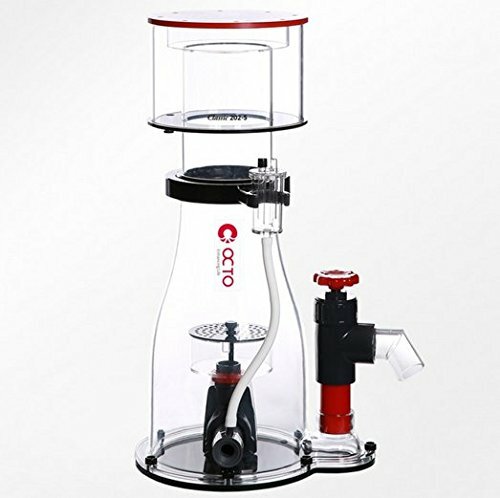 From Reef Octopus, this glass cylinder protein skimmer is available for tanks up to 250 gallons. It’s translucent high-quality cast acrylic with black and red details. This protein skimmer can work for large tanks. Handling a light bioload, it works up to 265 gallons maximum. For medium loads, 200 gallons. In tanks with a heavy bioload, 180 gallons. The Reef Octopus Classic 202-S has a small footprint at 12.4 inches by 10 inches. It stands at 23.2 inches tall when fully set up. You can completely disassemble this skimmer for cleaning. A pinwheel pump system is in place to create air bubbles within the skimmer. Using the pump system, this skimmer can draw water through at rates of 211 GPH when it’s functioning normally. It has 35W of power draw. Here’s a good small option that packs a nice punch. 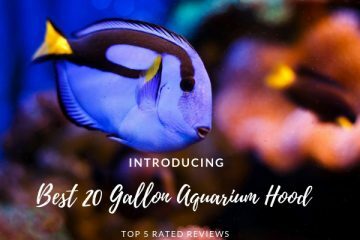 It’s sized well to work for most saltwater tanks, including reef tanks. Despite the power, you can fit this neatly in your sump to keep it out of the way. From Coral Vue, this is a skimmer made for medium to large aquariums. It’s constructed from clear acrylic and has black and red detailing. This is an in-sump protein skimmer that’s only intended to be placed inside your existing sump tank. It operates using a strong pinwheel pump. The pinwheel impeller is designed to give improved performance over previous designs. With the built-in pump and all things considered, this skimmer works for up to 210-gallon saltwater tanks. For larger tanks, it will operate only with smaller bioloads. For tanks with a heavy bioload, this sump will work well up until around 150 gallons. Standing at 22 inches tall, the total footprint is 12.6 inches by 8.7 inches. Because it needs to sit in your sump, it’s compact enough to suit most tank setups. This is a well-made protein skimmer with all the necessary bits and pieces included. It’s great for medium to large tanks, even reef tanks. You won’t need to buy anything extra to get it working, and it should work for years. 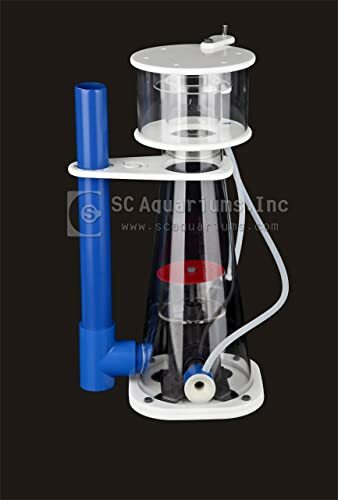 For medium to large saltwater tanks, the SC Aquariums SCA-302 protein skimmer is an option. 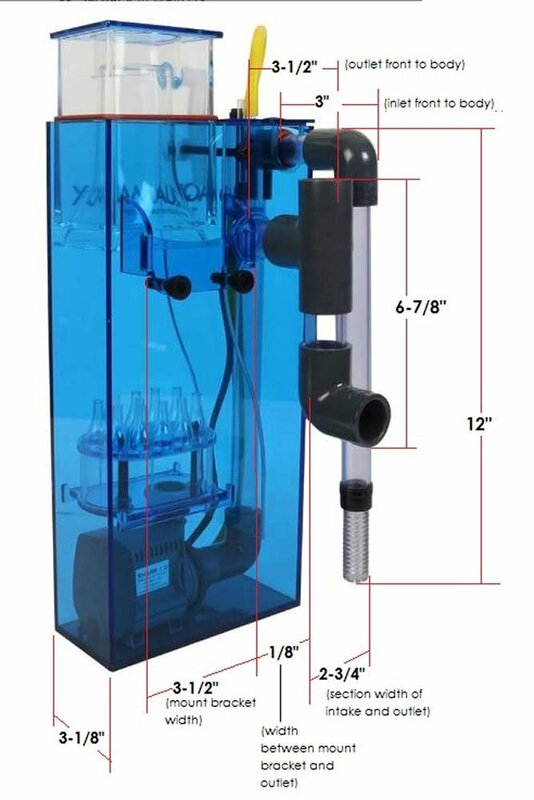 It’s an acrylic skimmer with blue, white, and red details and a capacity for tanks up to 180 gallons in size. There’s a large collection cup in this skimmer to hold more waste between emptying. 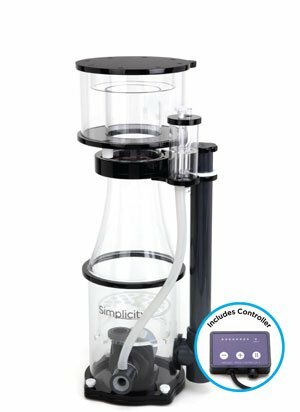 The skimmer uses an Atman PH2000 pump and needle impeller mechanism to create air bubbles for skimmate separation. 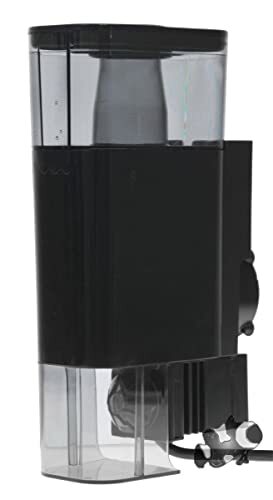 It’s an in-sump skimmer with a maximum water level around 6 to 8 inches. Sizewise, it’s 18 inches tall and has a footprint of 9 inches by 9.5 inches. That makes it a really small protein skimmer to fit into your sump. SCA-302 protein skimmers are rated for up to 180 gallons. Even heavy fish loads and reef tanks at this capacity shouldn’t overpower the skimmer. If you’re looking for a skimmer that doesn’t need to be emptied as frequently, this is a nice option for you. It’s got a larger collection cup that comes standard, so you don’t have to maintain it as often. If you don’t need as large of a protein skimmer, the Bubble Magus BM-Curve 5 may be a good choice for you. Aesthetically, it’s a mix of clear and white acrylic with red accent details. Rated for up to 140 gallons, this sump-only protein skimmer can handle the waste from heavy fish loads or reef tanks. It’s small but powerful. Water pumps into the skimmer from an SP1000 internal pump. Once inside, it immediately encounters a pinwheel style impeller that creates air bubbles in the water, forming a foam. The foam rises through the unique curved throat and into the collection cup. Another small protein skimmer, this one from Bubble Magus has a footprint of 7.5 inches by 7.5 inches. It stands at a total of 18 inches tall. When you don’t need the largest protein skimmer on the market, this is a great smaller option. It works perfectly for small or medium tanks and also goes well with some larger tanks. Because of the small footprint, you don’t need a lot of extra room in your sump to keep it going. 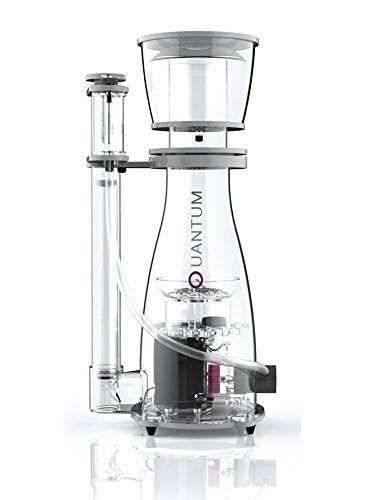 For some larger saltwater tanks, the NYOS Quantum 160 protein skimmer is available. It has a sleek aesthetic with a clear acrylic body and light grey details. This protein skimmer is rated for up to 265-gallon saltwater tanks. If your tank has a heavy bioload, it can work well for tanks over 100 gallons. Those with a normal or light bioload can be larger, up to 265 gallons as stated. NYOS Quantum has a decent footprint size for 7.29 inches by 9.85 inches. It tanks at 20.87 inches tall, making it a good medium size option. You need a little extra width on your sump to fit this skimmer comfortably. When operating, this pinwheel style skimmer creates a good amount of foam. You can adjust the water to foam ratio to suit your tank’s needs. Everything disassembles easily when it’s time to maintain the skimmer. For heavy bioload tanks and larger saltwater aquariums, this protein skimmer offers a lot. It’s a powerful option with a good design to handle the skimmate in your tank. 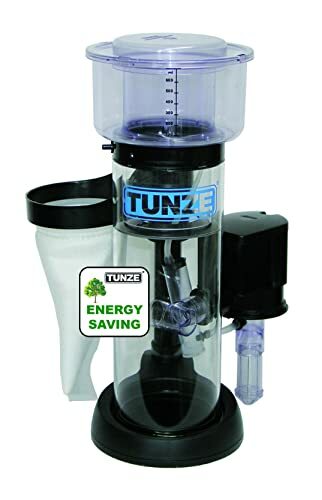 Tunze’s protein skimmer offers a different size and aesthetic choice to aquarium keepers. It’s meant for medium to large saltwater tanks. The Tunze USA 9410 Doc skimmer is rated for tanks up to 265 gallons in size. For heavy fish loads and reef tanks, the skimmer is effective up until about 80 gallons. 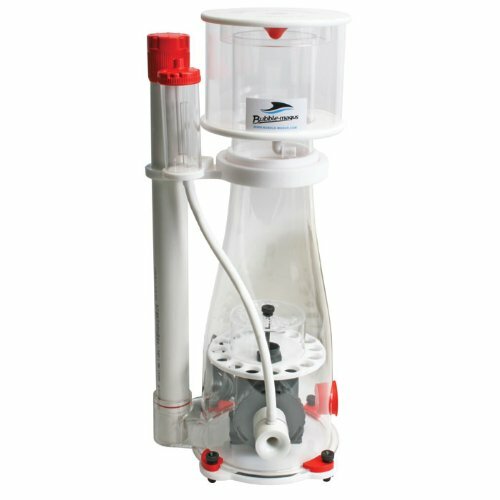 It’s an energy efficient 15W skimmer that uses a pump bubbler mechanism. You won’t need a huge sump tank to install this protein skimmer. The footprint is 9.8 inches by 7 inches. It’s only 16.3 inches tall, so you can put it underneath a cabinet more easily. A post-filter is attached to the water output tube. This filter can be filled with your choice of media. Using this filter reduces your maintenance overall. 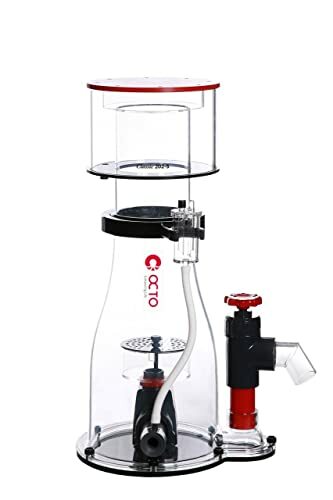 This is a good protein skimmer for beginners. It’s easier to adjust than some of the pinwheel skimmers and its small size is convenient for sump setups. Another smaller option, this Simplicity 240DC protein skimmer is great for medium to large saltwater tanks. You can use it for fish-only tanks or reef tanks. It’s rated for a maximum of 240 gallons. However, this is for fish-only or light bioload tanks. For medium bioloads, you can use this for up to 180 gallons and for heavy loads, 120 gallons. A bubble plate needle wheel mechanism sits in the inner chamber to create air bubbles in the water. Heading up the cone-shaped glass, skimmate overflows into the medium collection cup for disposal. The cup has a fitted cap on top for easy maintenance and mess-free removal. This is another skimmer that has a surprisingly small footprint. It’s 5.5 inches long and 8.3 inches wide. Sitting at 19.5 inches tall, it’s easy enough to fit this in most sump tanks. For beginners, this is a simple in-sump protein skimmer option. The small size makes it easy to install. It should be fairly simple to get it to the right level of skimmate. For a simple aesthetic that doesn’t get in the way of your tank’s look, this Tunze skimmer is an option. The Comline DOC 9001 is mostly black with some translucent dark gray plastic. This is a rectangular, nano in-sump skimmer. 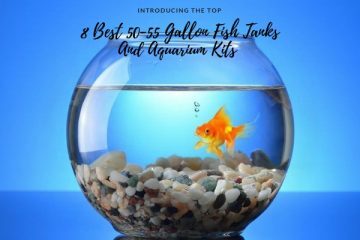 It’s appropriate for smaller saltwater tanks up to 37 gallons. For heavy bioloads and dedicated small polyp stony (SPS) tanks, it’s recommended for up to 15 gallons. You will fasten this skimmer to your sump tank with the magnetic holder. It attaches to tanks with glass or acrylic up to 3/8 of an inch. Air bubbles are created inside using a needle wheel mechanism. Because it’s intended for nano tanks, it’s very small. It sits at around 8.5 inches tall and is 4.3 inches by 2.5 inches in size. You can easily fit it into any sump, including medium-large sumps on the back of nano tanks. Large in-sump protein skimmers are often overpowered for nano reef tanks. 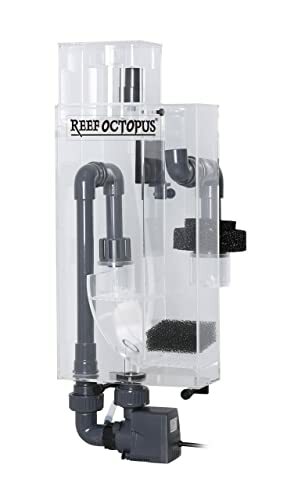 This is a good option for nano reef tanks and other small and nano saltwater tanks. 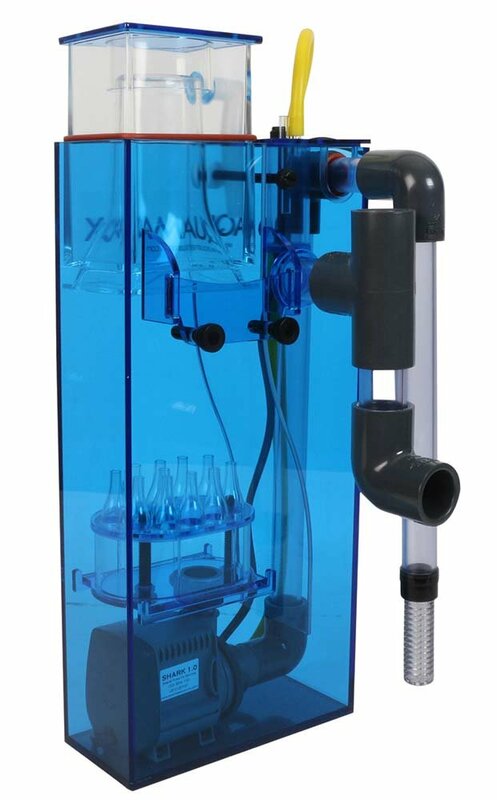 From Aquamaxx, the HOB 1.5 protein skimmer is a bright translucent blue device that attaches over the tank glass. It has dark gray and black details. Constructed from cell-cast acrylic, this is a durable protein skimmer. Your tank should be less than 3/4 of an inch thick for this to hang over it properly. It needs at least 4 inches of top clearance to remove the empty the collection cup. For heavy bioload tanks, this is rated to be effective in up to 60 gallons. The maximum tank size you should use this for is 90 gallons for fish-only and light bioload tanks. This skimmer should fit on most small and medium tanks. It’s 17 inches tall, 7.5 inches long, and 2.3 inches wide. All the necessary accessories are included to get it up and running right out of the box. If you need an option that doesn’t require a sump tank, this HOB skimmer could be a good choice. It’s powerful enough to handle a good bioload in most small to medium tanks. For a larger HOB protein skimmer, this model from Reef Octopus can do this trick. It’s a translucent light gray skimmer with dark gray accenting details. Intended for medium sized tanks, this works in tanks with a maximum size of 100 gallons. The maximum capacity is for tanks with a lighter load. 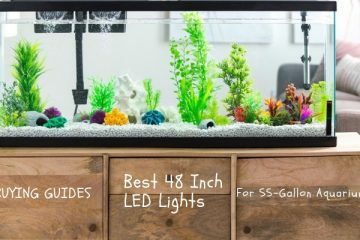 This is the right size for small and medium saltwater tanks and reef tanks. At 21 inches tall, this skimmer is on the tall side for a HOB device. It’s 10 inches long and 4 inches wide. You need around 4 inches of clearance to easily remove the collection cup for cleaning. As a HOB skimmer, you will attach this to the edge of your tank. The mounts fit on most tanks without large trim around the edges. It needs a few inches of clearance for the water intake pipe. This is a great choice if you want a little more power without having to use an in-sump skimmer. It works well for many small to medium saltwater fish and reef tanks. Protein skimmers work to reduce dissolved organic compounds (DOC) from your tank water. They do this by removing a small layer of water from the top of the tank and mixing it with air. The waste attaches to the air bubbles and gets skimmed off into a disposal cup. Collected waste is called skimmate. Once the skimmate collects in the cup, all you have to do is pour it out. You’re removing the waste from the tank completely without getting rid of much water. Sounds great, but is there a catch? Taking out extra waste is nice, but do you really have to have a protein skimmer? There’s no way to give a definitive yes or no. 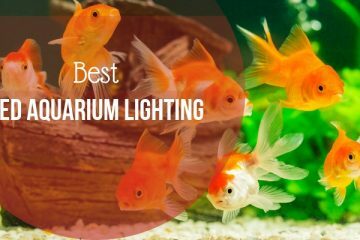 However, most aquarium experts recommend them for saltwater fish tanks. Freshwater tanks don’t need protein skimmers. If you’re managing a saltwater tank, it’s probably better to have one than not to. If you choose to forgo the skimmer, you’ll be doing very frequent water changes. Too many water changes will affect the water quality over time if you’re not extremely careful about balancing it. Plus, you’ll get tired of changing the water so much. For reef tanks, you should always have a protein skimmer. If you have a smaller fish-only saltwater tank, you may be able to do without it. Beginners should definitely use one to give better chances of success, while experienced fish keepers might be okay without it. It’s a lot of work to maintain a saltwater tank already. Without a protein skimmer, you’re making your work a lot harder for no good reason. One of the classic designs, these skimmers use air stones to send bubbles to the top of the water. The air bubbles are then collected into the cup in the reaction chamber. Rather than having water and air moving in the same direction, the mixing is happening in the opposite direction. Air is forced down into the aquarium water within the skimmer before ending up in the collection cup. Requiring an external pump, this type of protein skimmer makes the process faster. Water is pumped around the skimmer quickly, resulting in faster mixing of air and water as well as re-circulation of the same water multiple times. Similar to a co-current skimmer, these use a venturi valve in the air intake tube. This forces the air and water to mix differently. Using mesh or spoked needle wheeled, these skimmers rapidly cut through the water. As they do that, tiny air bubbles are created that bond to the skimmate. Aquarium water comes through the intake and enters the skimmer through a spray nozzle. The force of spraying water out creates air bubbles. Some protein skimmers are a lot easier to clean than others. You want the collection cup to be in easy access and the parts to be removable where necessary. Maintaining the skimmer should be simple and straightforward. Larger collection cups will not have to be emptied as frequently. Smaller cups need more frequent cleaning, but won’t have as much time to start stinking between cleanings. You don’t need to clean the entire skimmer very often. When it’s time to maintain it, you do need to be able to reach every part for cleaning. This includes the water and air intakes, bubble creation mechanism, and the interior walls. 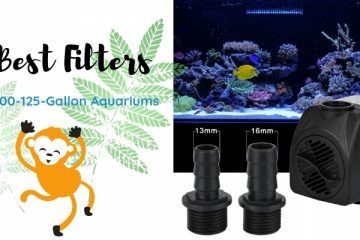 Collection cups and skimmers should be appropriately sized to match your aquarium. It’s better to oversize than to undersize. If you have a large tank, get a larger skimmer. When a protein skimmer is too small for your tank, you’ll do a lot of work to keep it maintained and functioning properly. It’s better to get something that’s properly sized to save yourself the trouble. You’ll also have cleaner water without any gunk flowing back into the tank if the cup fills up. There are a few kinds of skimmers for fish tanks. Protein skimmers and surface skimmers are the most common. Though they have similar names, they have completely different functions. Protein skimmers remove DOCs from the water and collect waste to remove it from the tank. Surface skimmers are part of your regular filter and work to remove solid waste that floats on the surface. This includes leftover food, particles, and bits that would otherwise avoid the regular filter intake. You can use both types of skimmers at the same time. However, you can’t use a surface skimmer as a direct replacement for a protein skimmer. If you’re ready to get rid of the dirty film floating on your saltwater tank, get a skimmer now. 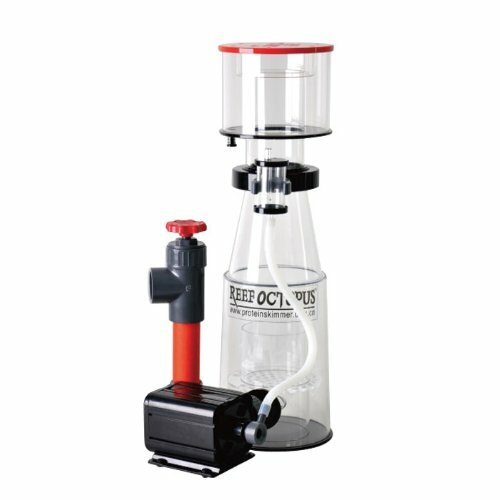 The Reef Octopus Classic 202-S gets the job done well for medium to large tanks with a sump. For those without a sump tank, the AquaMaxx HOB 1.5 cleans things up without taking up space. 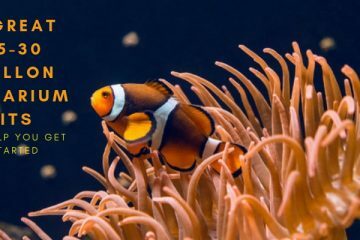 Improve the health and beauty of your saltwater tank with a protein skimmer. These things make tank maintenance a whole lot easier! Based on your tank, choose a skimmer that best meets the needs on your checklist.